Paul, thank you so much for your review and interest in our project. It is true that several of our staff are based in France and we are the first ICO backed by a conventional french bank, but we are very much a global team interested in solving global problems in the supply chain. You are accurate in your assessment of high-risk areas, but we see blockchain and tokenization as an answer to traditional supply chain barriers in these nations. The aggregation of suppliers and part visibility can be important tools to companies in this space and the barriers-of-entry with a token are much lower than what is currently available. In addition, our business model is larger than traceability via blockchain and we are poised to scale into smart purchases at a later stage. We sincerely appreciate your perspective and encourage you to revisit our project regularly and adjust your rating if you feel inclined. I'll take a look closely at this ICO in 2019 and wait for the MVP. Team seems strong and dedicated. The ICOBench profile is well completed. I will do a more complete review in january as i think this project deserves to be followed. Thanks for your review Alexis. We are happy to answer any questions from you or the community and are committed to transparency. We are also very eager to meet investors face-to-face (if you know of any, send them our way!) Unfortunately, we are legally unable to “show ROI to investors.” We do have a SAFT in place which you might be interested in. Additionally, we are a legally registered company in France and are the first ICO backed by a conventional french bank. We are very proud of our advisors and also have a working business plan in place. Please reach out to us and we will be happy to provide any information you are requesting and we would appreciate your regular rating and review of our project. Thanks again. Idea and concept of the use is very well defined. I would like to see such product making impact in the aviation industry. Market size of the prodct could be in billions and executed perfectly they can operate without competition. BIRTH OF THE GSC AVIATION CONCEPT. WHITE PAPER WRITING & TEAM TRAINING. WHITE PAPER WRITING & TEAM . 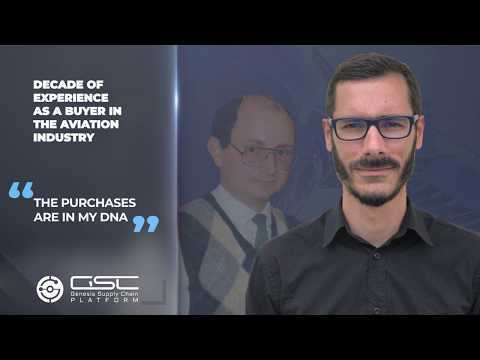 GSC AVIATION BLOCKCHAIN TRACEABILITY LAUNCH. TRANSPORT UNIT DEVELOPMENT / CONTRACTS MANAGEMENT. GSC SMART PURCHASES BLOCKCHAIN LAUNCH.